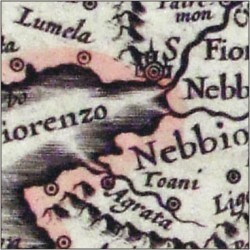 Description: The map measures 24 x 17,8 cm and belongs to the atlas Theatrum Orbis Terrarum sive Atlas Novus - pars tertia - Guilelmus et Ioannis Blaeu, printed in 1650 in the Blaeu's family workshop in Amsterdam. 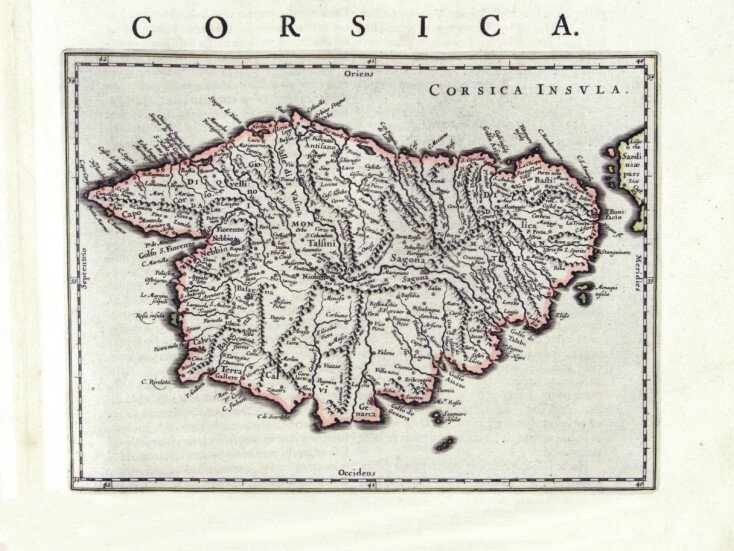 Corsica is exposed in a small scale, but with plenty of citynames. The island also has a schematic representation of the hydrography and the orography.